As you prepare for the holidays, the Pensacola State College Foundation invites you to Holiday Experience, a special night out on Tuesday, Dec 5. This promises to be like no other holiday event you’ll attend this year. Reserve your ticket for an exclusive – yet casual – evening boasting a performance of skills that amaze, talent that grows in creative spaces and a culinary extravaganza with entertaining musical delights! 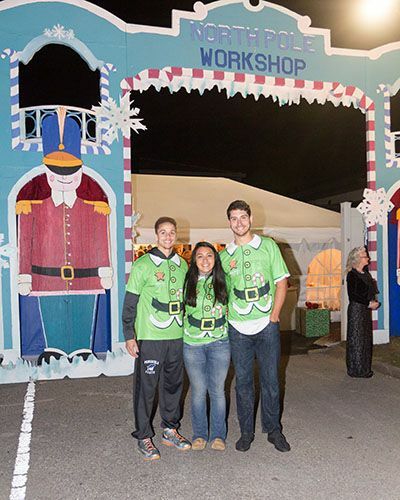 Starting at 5:30 p.m., Pensacola State’s third annual Holiday Experience offers a glimpse of the college’s athletic and visual arts programs. The evening begins with demonstrations of athletic skills where guests can cheer for Pirate feats at the Hartsell Arena. The next stop is a tour of the Anna Lamar Switzer Center for Visual Arts and the new Charles W. Lamar Studio where guests are greeted with hors d’oeuvres and holiday beverages, and entertained by a brass choir, a flautist, a saxophone quartet and a clarinet choir. During the gallery tour, students and faculty docents explain the artwork on display and guests can observe students and faculty members creating unique pottery and sketches. “This is our premiere event of the year, made possible by our signature sponsors, Michael and Jo Ann Price, along with other sponsors,” said Andrea Krieger, executive director of Institutional Development at PSC. “It is a festive opportunity for Pensacola State to bring friends onto campus to experience how our programs benefit the community. We hope it allows our guests to see us as Pensacola’s college. The evening finale brings guests to the G. Thomas Delaino Student Center for a gourmet feast prepared and served by students in the Culinary and Hospitality programs. Surrounded by glittering holiday décor, guests are then serenaded by the PSC Performing Arts Students and Pensacola Bay Harmonizers. 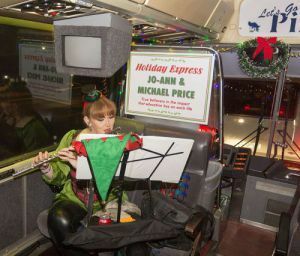 “Last year’s Holiday Experience sold out and generated more than $52,000 to help students,” PSC President Ed Meadows said. “Event proceeds benefitted the college’s scholarship funds and were used to support programs. This year, we chose to highlight visual arts, athletics, performing arts, culinary and hospitality. Meadows noted the college offers bachelor’s degrees as well as associate degree programs which can transfer to public Florida universities. “Many don’t know about our bachelor’s program within visual arts. We are hoping as we promote this program, more creative students will learn they have access to their desired education at PSC,” Meadows said.